JERSEY CITY, New Jersey (WABC) -- Brides are panicking after their wedding venue in Jersey City was suddenly shut down and forced to undergo emergency repairs. 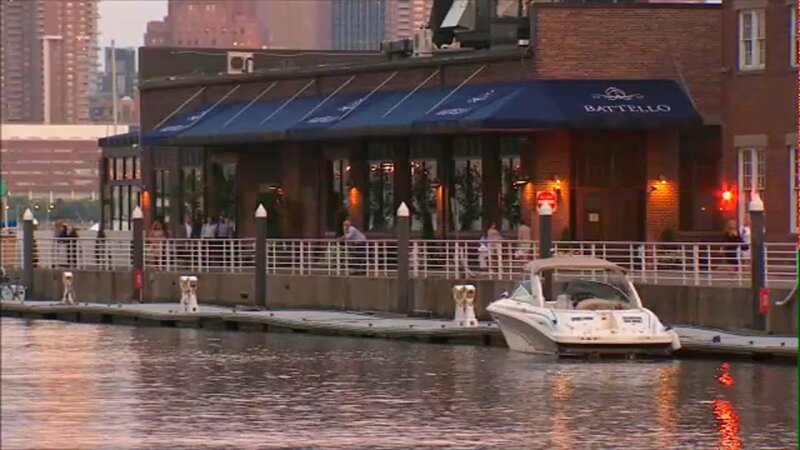 Battello's in Jersey City was told by Newport Marine Holding that they would need to shut down from September to April, due to repair work to the pier which the restaurant sits on. But that situation changed for the worse on Thursday, when Battello's says they were notified they would need to close immediately at 5:00 p.m. Thursday. Battello doesn't own this site. The restaurant leases this space from their landlord, Newport Marine Holding. In a statement they say, "To ensure the longevity of this pier and based on recent and routine engineering inspections, our engineers have been continuously monitoring the pier's condition since June. As a result of the latest monitoring data, all access to the pier must be restricted effective immediately." Battello's also released an updated statement, "On Thursday, August 3rd, we were informed that we would be required to shut down on September 15. "Earlier this afternoon, Battello had been notified by our landlord, Newport Marine Holding, that all access to the pier must be restricted immediately and that as of 5:00 PM, there will be zero access to the pier and our restaurant. This is a shocking new development in an already devastating situation. "While we are deeply distraught, ensuring our guests and employees safety remains our number one priority. We have been told that further details pertaining to the need for this sudden, immediate closure will be shared with us, and we will continue to provide updates as they unfold. "We sincerely apologize for the inconvenience and hope to resolve this matter as soon as possible." Two weddings had been scheduled there for this weekend. 50 events overall are canceled at Battello's from corporate events to weddings.